Rosewood desk signs with a piano finish and brushed metal plate can be customized to include any text or full color logo you send us at no extra charge. 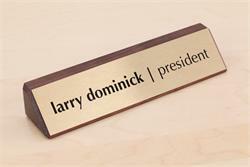 Include your name, your credentials, company name and corporate logo to create the perfect sign for your office desk, or create a professional looking sign for your reception desk or check in counter. Choose from brushed silver, brushed gold, brushed copper, real brass or glossy white aluminum plate options. Metal plate is slightly smaller than the rosewood base to create a wood border around the plate. Standard text is black, but you can request custom colors in the special instructions by noting specific Pantone colors you prefer. Rosewood base includes felt covered bottom for scratch resistance. If you require a size or style not listed here, please contact us at service@officesigncompany.com or via phone at (701) 526-3835 with all of your details. 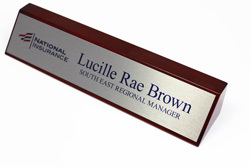 Rosewood desk stand with piano finish, customizable name plate and business card holder. Available in 8-1/2" and 10-1/2" lengths. 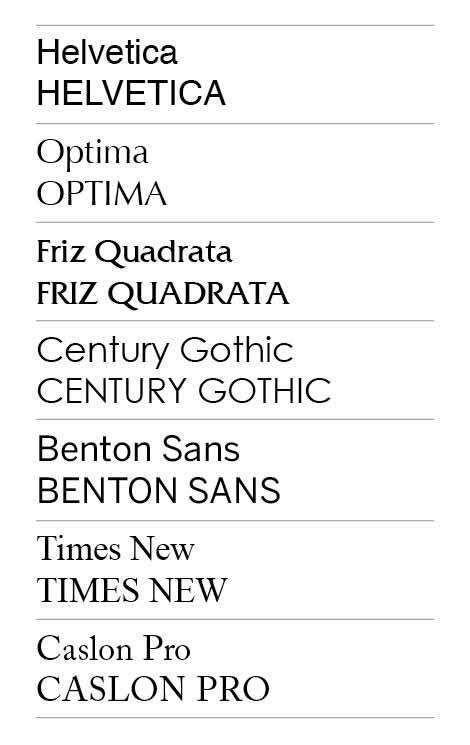 Stylish beveled edge. Personalize this desk name plate with full color at no additional charge. Completely custom desk sign. Solid walnut desk stand and custom name plate. Available in 8" and 10" lengths. 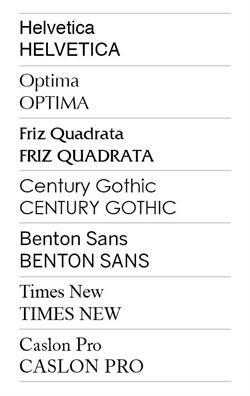 Stylish beveled edge. Add the style of real wood to any desktop. 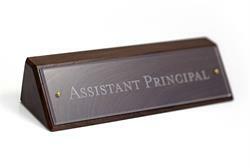 Solid walnut desk sign features a clear name plate with custom etched lettering. Available in 8" and 10" lengths. 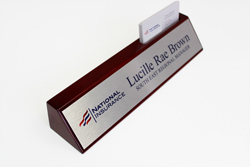 Stylish beveled edges on both the name plate and wood desk sign. Add the style of real wood to any desk or office. 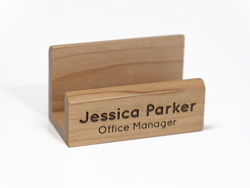 Personalized Engraved Maple Wood Business Card Holder. Add your own logo or custom text at no additional charge. Solid wood with beveled edges. Holds approximately 100 cards. 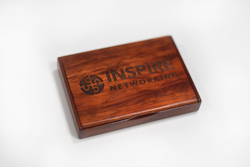 Personalized Engraved Rosewood Business Card Holder. Add your own logo or custom text at no additional charge. Fold open for display or fold closed for easy transport.